9:00 a.m. – 2:30 p.m. See the detailed Event schedule below. Registration is required for this event and must be made by Tuesday, 31 January 2006. To register, complete the online Event Registration form. Whether or not you participated in the competition this year, come out and see the winning entries, meet the judges, cheer on the winners, and enjoy a delicious lunch. This is a perfect opportunity not only for networking but for getting your eyes and hands on the state of the art in technical communication. Documentation managers, bring your teams to encourage their competitive spirit. Maybe you'll be encouraged to enter the competition next year! Annetta Cheek, Ph.D., will deliver the keynote address. A Workshop Facilitated by Annetta Cheek, Ph.D.
Annetta Cheek, Ph.D. will conduct an interactive workshop on plain language, an essential tool for clear communication. "When you hear the phrase 'Plain Language,' what do you imagine? Controlled vocabulary? An emphasis on word counts, rather than meaning? Forget the myths – come listen to an expert explain plain language and how it can benefit you. Dr. Cheek has been helping train U.S. Government employees to use plain language (and to thereby reduce support costs) since the Clinton administration. This interactive workshop will show you how to use plain language writing techniques to increase the usability of your writing." Annetta Cheek, Ph.D., works for the Federal Aviation Administration (FAA) and is a well-known plain language instructor throughout the federal government. Ever since President Carter's executive orders of the 1970s requiring plain language in federal agencies, the FAA has taken the lead. Dr. Cheek, an anthropologist, had previously served as the plain language expert for the National Partnership for Reinventing Government. In 1995, Cheek founded the Plain Language Action and Information Network for federal employees in all agencies. In 2003, she helped set up the non-profit Center for Plain Language in Washington, D.C. Plain Language Workshop — Annetta Cheek, Ph.D.
12:45 p.m. – 12:50 p.m.
Keynote Speaker: Annetta Cheek, Ph.D.
For more information about the awards banquet or workshop, please contact the Events Committee Manager. Note: Final menu specifics of the menus have changed. Chapter officers may attend the awards ceremony and workshop for free. Please complete the online Event Registration form so that we know which entrée to order for you. ** Please contact the Events Committee Manager if you are interested in volunteering for this event to confirm your volunteer role. Only confirmed volunteers are eligible for the event volunteer rate. 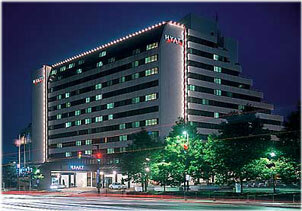 Map and directions to Hyatt Regency Bethesda in Bethesda, MD.